Sunday I decided to head into Elgin County. Firstly, I stopped by Rondeau Bay to check out the waterfowl at the head of the Bay. A bit of open water has attracted a concentration of Swans, Geese and ducks. 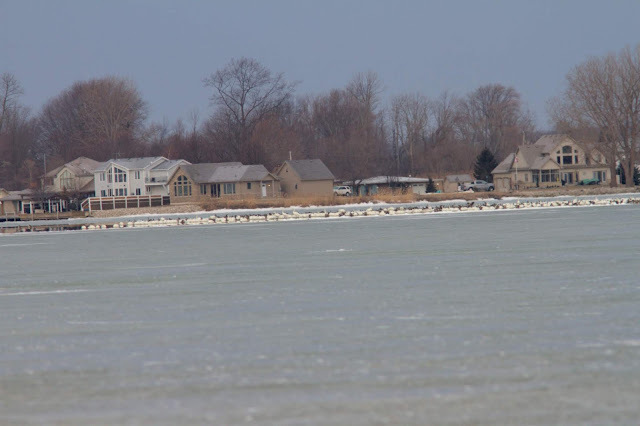 I viewed them from Rondeau Joe's, rather distant. They are close to Rondeau Estates if one can find a spot to set up a scope there. Some Greater White-fronted Geese had been observed the day before, and they were still present. However, due to distance and the tight pack of waterfowl, they were difficult to pick out. I managed to see around ten. I only saw one Snow Goose, but likely others were present. Well over 700 Tundra Swans made things difficult to sort through the mass. A variety of ducks was present including some Northern Pintail. 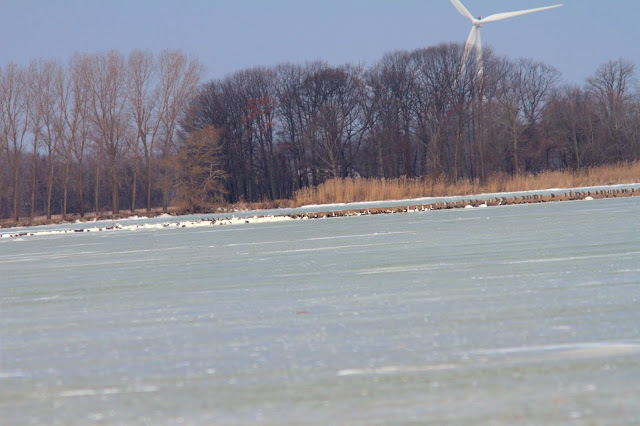 With the unseasonably mild weather recently, an influx of waterfowl has occurred. This is an annual event where Greater White-fronted Geese are the highlight. This species was reported in numerous locations in SW Ontario on the weekend! 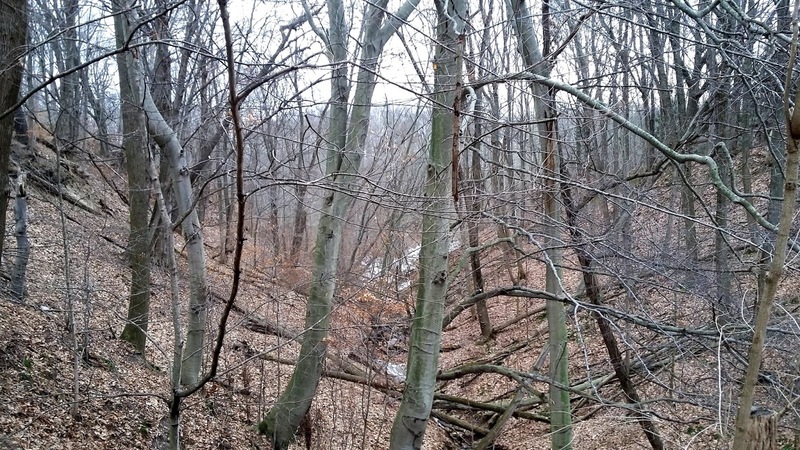 I moved on east along Talbot Trail, and stopped by E. M. Warwick Conservation Area. It is a neat little spot not far west of Wallacetown. This is a 14 hectare site acquired in 1974 by the Lower Thames Valley CA. It was previously used as a youth camp by the Rotary Club beginning in 1956. A deep gully winds towards Lake Erie here. Deep gullies are plentiful in this area along Lake Erie. A number of birds were along the trail including several White-throated Sparrows. 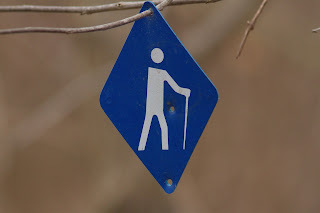 I wanted to check out John E. Pearce Provincial Park south of Wallacetown as well. This day-use park, established in 1957, is nicely wooded and good for checking birds during migration. One cannot get close to the bluff anymore as it has been fenced off due to severe erosion and safety concerns. The Spicer Trail on the north side of the road makes for a nice walk though Carolinian-type woods. In recent years, the Storey Wetland has been added on the west side. A trail winds through it and also through a Pine plantation. I stopped here last summer and it is good for a wide variety of dragonflies. The Backus-Page house museum is on the grounds as well. 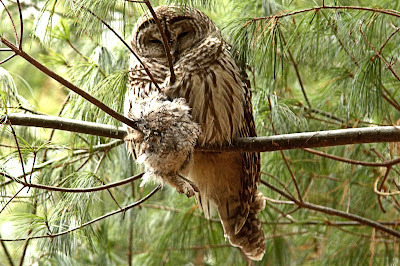 I had a good hunch that I might see a Barred Owl (I thought of this the evening before). 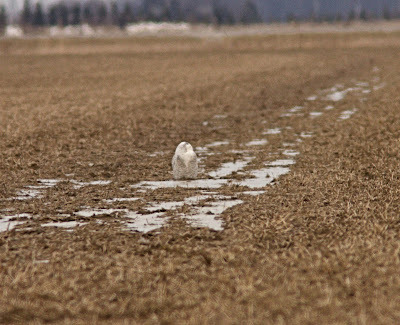 One had been seen late last fall, but my visit in early December was not successful. I probably did not look hard enough! I took the long way around through the Storey Wetland, then the Pine plantation. Several Red-breasted Nuthatches, as well as a few Black-capped Chickadees were working the pines. 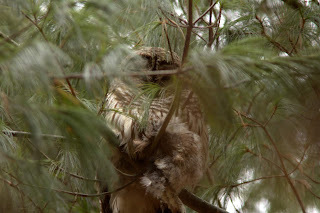 Near the end of the plantation, I stopped suddenly in my tracks to view a sleepy Barred Owl! It was right beside the trail, so I did not have to search through all the trees. I moved a bit ahead to get a better view. It was then I noticed that it had something in its talons. It appeared to be the lower portion of another owl! 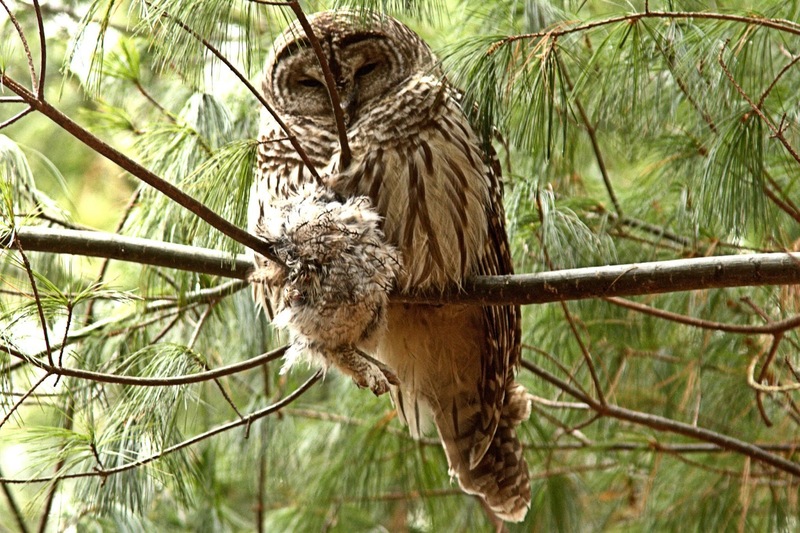 Barred Owls are opportunistic hunters eating a wide range of small rodents and birds. 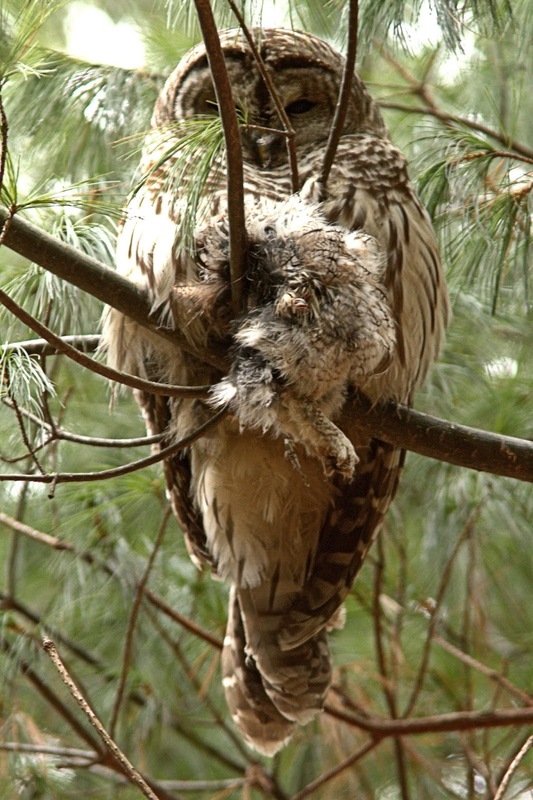 Occasionally one is known to take another owl. I can only speculate, but it could be of an Eastern Screech-Owl, or Long-eared. Perhaps even a Short-eared. 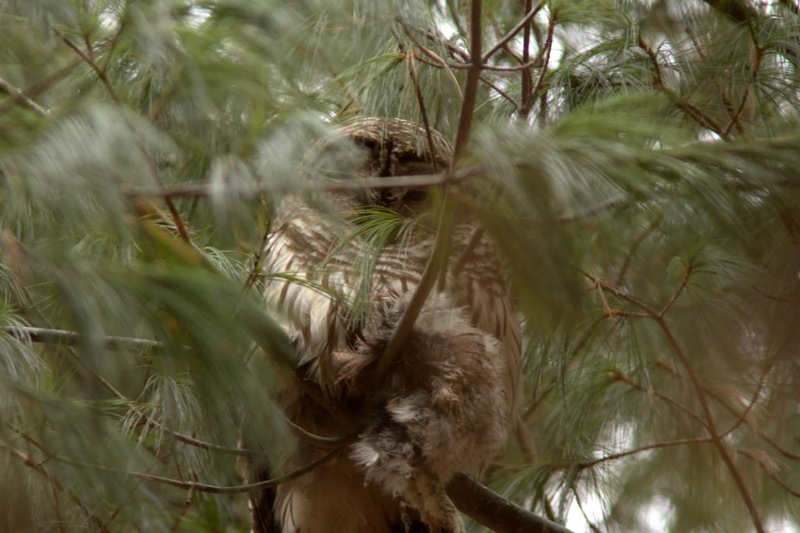 There is suitable habitat for both Long-eared and Short-eared, and certainly the adjacent deciduous woodlot would harbour screech owls. It looks fairly large so perhaps a Long-eared. It was certainly the highlight of the day! Later on the way home, I checked Wardsville Woods and drove through a portion of Skunk's Misery, but those areas were rather quiet. 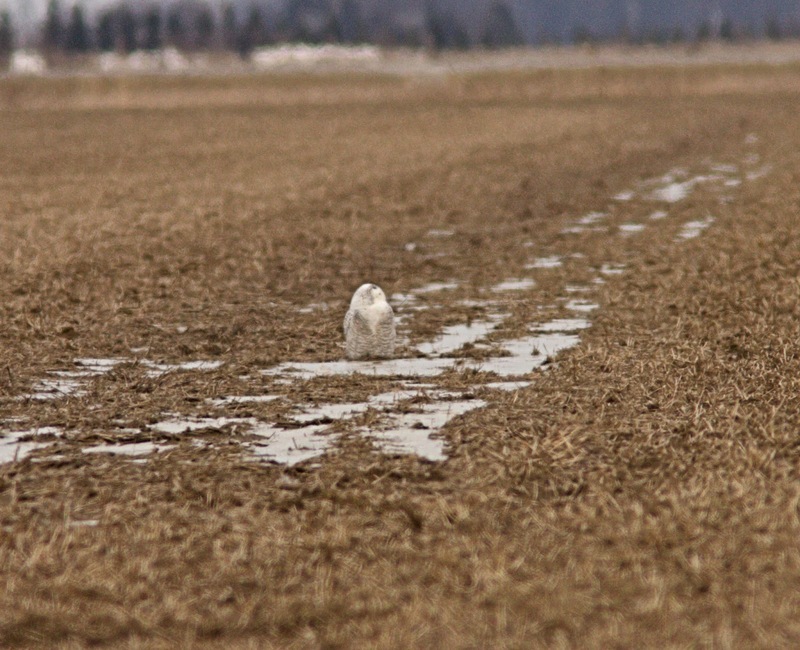 A couple of Snowy Owls are hanging about near Wallaceburg. One is just south of Becher, while the other is along Langstaff Line. 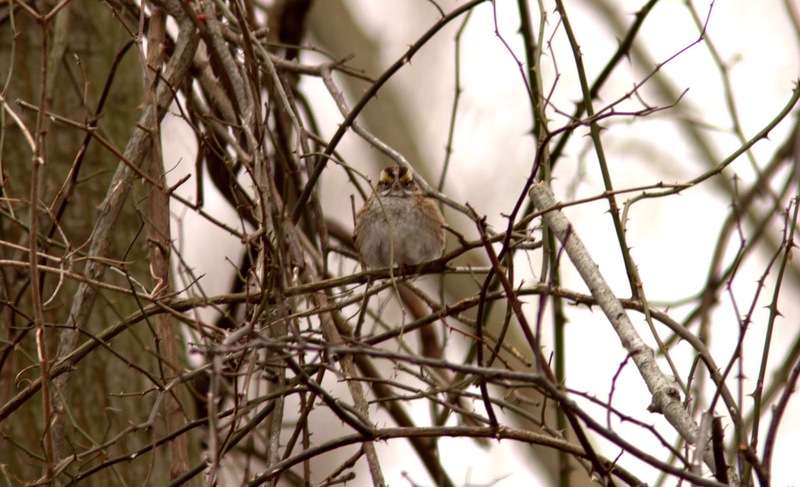 The Langstaff bird has been around all winter.